Evolution is a natural process. Every particle in the universe is subjected to change with time, or else they will perish. Software field witnesses the pace of evolution to the maxima. If one has to survive in the field, staying abreast to new is inevitable. Odoo software always keeps updating with new features, so as to be fit and fine to the timely trends and needs. Now as the time progressed, = Odoo has released their latest version, Odoo 12, with a bundle of added advantages. The business management with Odoo 12 is very advanced and user-friendly. 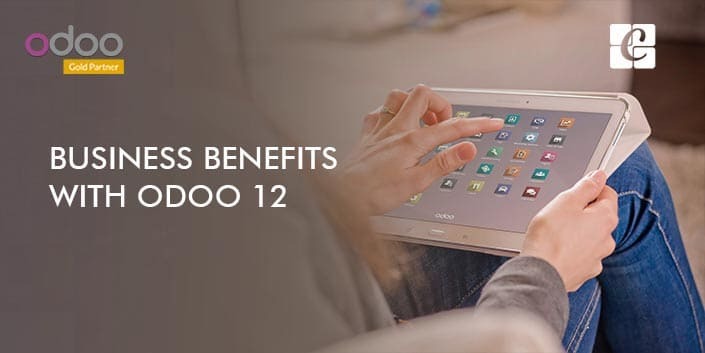 The business managing software should be robust and quick so as to handle the business smoothly and Odoo 12 is the perfect choice to solve your business hardships. This blog discusses the advantages in Odoo 12 when it comes to business management. The new dashboard of Odoo 12 is designed to be more user-friendly so as to provide a better understanding of the data. The new data layout gives a direct view of the latest KPIs once the application is opened. With this, the financial and sales status of your company is always at your fingertips. The dashboard can provide you with various data’s, you can compare this data from different time periods and see the position of your business, thus Odoo 12 act as a custom report. Also with the features like a graph, pivot data, and cohort view, you can have a complete view of your business. Odoo 12 comes as a complete package for managing your inventory. The icing on the cake, the new barcode app in Odoo 12 make the work process much faster. The user interface has been totally restructured in Odoo 12 and now it is perfectly suited for mobile usage and as a result scanning of lots and serial numbers become even easier. The manufacturing process also has been fine-tuned with special attention. The work order now can be done using the barcode scanner even when you are with large gloves. These new features help in a lot of time-saving which is really a blessing in the manufacturing sector. Even when time and technology changes, some people will still be there who follows the old school fashion. These are the group of people who send the invoices through emails. Now the clients will have to archive this mails and this requires space and you have to group them on an external server. Now with Odoo 12 documents, you will be able to send, categorize and share the archive scanned documents. You can also create documents such as vendor bills, tasks etc. with Odoo 12 documents. 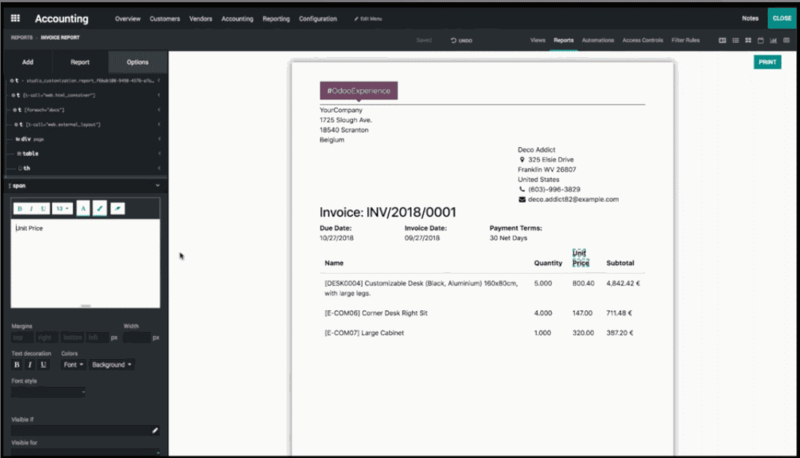 The Odoo 12 documents are integrated with project and accounting applications. This Odoo 12 document is capable of managing images, documents, pdf, videos, and URLs. 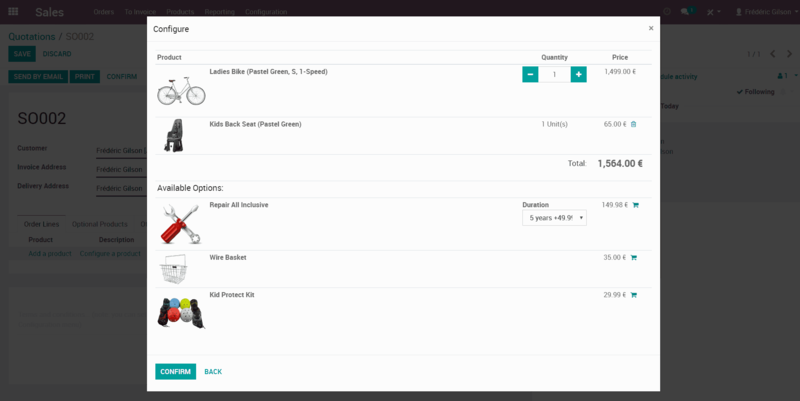 The product configurator in Odoo 12 has been totally revamped. The available option in the cart section allows flawless upselling. Here if you choose an option, you can link an additional product with it. This will be automatically added to the available options. With Odoo 12, multi-website handling also has become a reality. We can integrate this multi-website along with our management system which brings in a lot of opportunities. Also, customer segmentation is made possible with this feature. This will ensure that you get a number of customers, eventually increasing revenue. 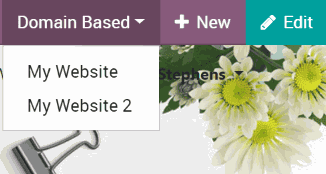 In Odoo 12 each of your multiple websites can work fully independent. Branding, domain name, page content like language, products, blogs etc. can be totally independent in nature. The business flow has been made even smoother using easy accounting in Odoo 12. If we are considering the case of accountants, they have to deal with many paper invoices, individual scanning of invoices one after another and later converting them to pdf format. This is very time-consuming. When Odoo 12 document is used, all these processes get automated. There is an option called ‘scan to email’ button if you press it a single pdf file for all the invoices will be created. These document splitting also can be done in one click. There is also an option called Optional character recognition (OCR), this makes the information encoding in the system very fast. There is another great feature where the system uses a memory. When the same supplier contacts for the second time the system memorizes the previous invoices and purchase orders and use these information’s to prepare the documents. There is also an In App Purchase feature, which is introduced in Odoo 12. It enables the end user to send invoices and reminders. 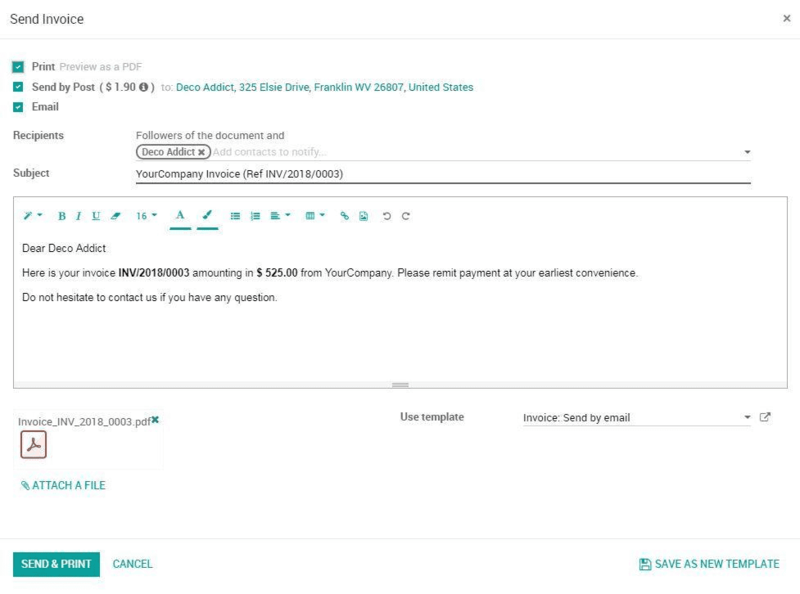 When an invoice is ready either you can send it by Email which will be done by the system or through offline mail method where the invoice will be printed by the system and it will be sent by a third party shipper. A lot of work is thus reduced which saves a lot of time too. Accountant’s job also has been simplified with Odoo 12, the vendor bill prediction where the system predicts the vendor bill based on previous bill history and management compliance all make accounting job easy. 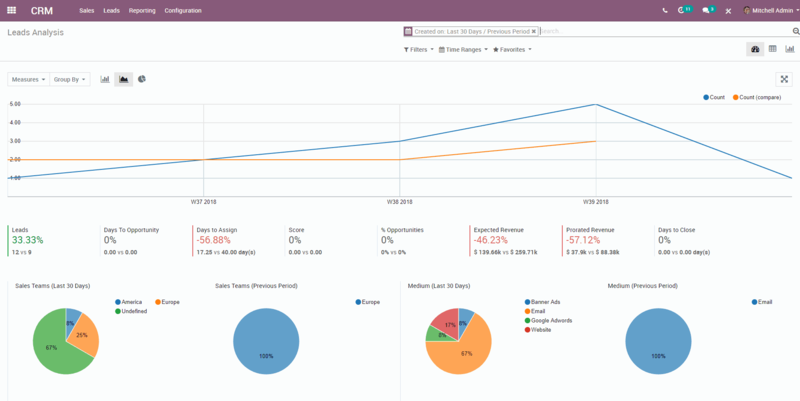 In Odoo 12 the new report designer allows you to customize your business reports. There are two options when it comes report making, one is you can use the Odoo 12’s template and create a report or else you can create a brand new report. The performance improvements in Odoo 12 has made it faster and more responsive. The user is prevented from deleting important data, avoiding the mishap of data base breakdown. Thus we can surely say that Odoo 12 has justified the evolution process by adding all these additional features to it. Odoo 12 will be a worthy successor to its previous versions for sure.